The Tokyo Institute of Technology, or Titech, can trace its history back 130 years, to the establishment of the Tokyo Vocational School, and today it is Japan’s leading science and engineering university. 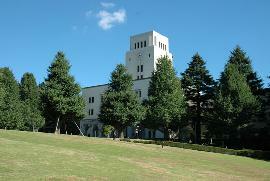 The Tokyo Vocational School was founded in 1881, and together with the Imperial College of Engineering (the precursor of the Faculty of Engineering at The University of Tokyo) was central to engineering education in Japan in the early years of the Meiji era (1868-1912); both schools later became the driving force of science and technology education in Japan. 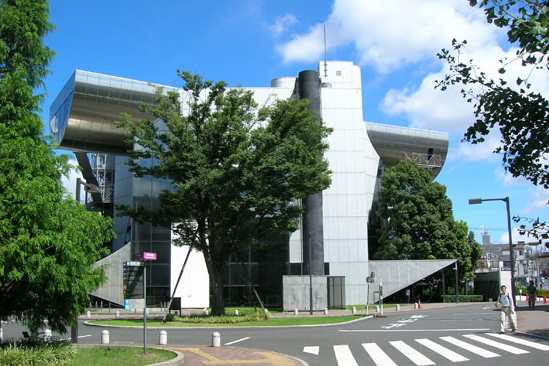 Over the next 130 years, the Tokyo Vocational School, later named the Tokyo Institute of Technology, has continued to support creative manufacturing in Japan by producing outstanding graduates in science and engineering and making significant advances in science and engineering research. According to the QS World University Rankings of 2015-2016, Titech places 3rd overall in Japan. Worldwide, it places an impressive 22nd for engineering and technology, and 30th for natural sciences. Despite its remarkable achievements thus far, Titech continues to develop and improve in order to achieve its ultimate goal of topping the league in the most competitive categories. Titech has been the originator of research achievements that have paved the way for the technology that enhances our lives on a daily basis. For example, the invention of ferrite, a magnetic recording material, by Drs. Yogoro Kato and Takeshi Takei, and the invention of the first cathode ray tube television by Kenjiro Takayanagi, were both carried out by scientists affiliated with Titech. Both achievements have been certified as Milestones by the Institute of Electrical and Electronics Engineers (IEEE), an honor only given to technical achievements of historical significance, that occurred at least 25 years prior to the award and have shown continual impact. In 2000, Dr. Hideki Shirakawa, a Titech alum, received the Nobel Prize in Chemistry for his discovery of polyacetylene, a type of conductive polymer. In 2016, Dr. Yoshinori Ohsumi, an Honorary Professor at Titech, was awarded the Nobel Prize in Physiology or Medicine for discovering the mechanism of autophagy. Titech has also made valuable contributions to organic chemistry, including the first successful attempt to synthesize vitamin B2. The institute has also been a pioneer in the field of bioscience and biotechnology, being the first higher education facility in Japan to establish a department dedicated exclusively to these fields. Other immediately recognizable and world-leading inventions generated by Titech include the discovery of crystal oscillators, the technology used in quartz clocks, the development of optical fibers as communications technology, and the invention of high temperature superconductors using iron-based compounds. In April 2006, Titech deployed TSUBAME, a large-scale supercomputer, the fastest in Japan, which is available to those within and outside the institute, from academia to industry. TSUBAME’s powerful computational capabilities can also be used by undergraduate students, and the facility plays an important role in fostering advanced education in computer and computational sciences. In November 2010, TSUBAME 2.0, a “green”, cloud-based supercomputer with massive parallel storage became operational. TSUBAME 2.0 went straight in at number four on The Top 500 List, a list of the world’s highest performing supercomputers, in the same month it was launched. In 2005, the Innovation Management Graduate School was established with the objective of fostering researchers and innovators with strong practical ability, capable of managing the innovation creation cycle, where technology is created then commercialized and applied to wider society as intellectual property. Here, pioneering research in diverse disciplines is carried out, giving students an unrivalled education in the management of technology through access to a unique environment filled with multiple opportunities to discover and engage with new technologies. Titech has formed a four-university alliance with Hitotsubashi University, Tokyo Medical and Dental University and Tokyo University of Foreign Studies, which allows students to study in previously unavailable fields, while still receiving the kind of education in new and advanced scientific, engineering and technological knowledge that can only be enjoyed at Titech, through a program of joint accreditation. Titech also has a strong history of active participation in the arts, and the Center for the Study of World Civilizations, established in 2006, provides students with access to many artistic disciplines, including music, art and literature. In April 2016, Titech began offering a unique degree program where students can seamlessly transition from their Bachelor’s programs to graduate school in the discipline of their choice. This is the first time such a program is offered in Japan. Given that 80–90% of Titech’s undergraduates continue on to the Master’s or doctoral programs, Titech reformed its academic structure so that the students can smoothly pursue their academic path from the start of their university education to the completion of their post-graduate degrees. The institute is also placing increasing emphasis on its program of global collaboration and exchange. Recent developments include the establishment of the Global Edge Institute, a research facility open to young researchers from around the globe, the foundation of a graduate course in international leadership run jointly with Tsinghua University in China, and measures to develop further on the Asian mainland through overseas offices in China, Thailand and the Philippines. The inventors of ferrite, a magnetic recording material. Yogoro Kato (1872-1967) joined the Tokyo Higher Technical School as an instructor in 1906, later becoming a Professor of electrochemistry department at the Titech. Takeshi Takei (1899-1992) entered the electrochemistry department of Tokyo Higher Technical School in 1917, and worked as an Associate Professor and Professor at Titech between 1929 and 1948; he is known as the ‘father of ferrite’. 1899-1990. The first man to successfully transmit and receive images using a cathode ray tube, he is known as the “father of Japanese television”. He graduated from the Institute for Technical Teacher Training, Tokyo Higher Technical School in 1921. Born in 1932. Yasuharu Suematsu carried out pioneering research on optical communications, and developed the core technology (dynamic single mode lasers) that has made today’s optical communications possible. He graduated from the School of Science and Engineering, Titech in 1955, and received his doctorate in electrical engineering in 1960. He then worked as an Assistant Professor, Associate Professor, Professor and Dean of the Faculty of Engineering before becoming President of Titech in 1989, a position he held for five years. Born in 1936. Hideki Shirakawa was awarded the Nobel Prize in Chemistry in 2000 for his discovery of polyacetylene, a type of conductive polymer. He graduated with a degree in Chemical Engineering from the School of Science and Engineering, Titech in 1961, and received his doctorate from the Graduate School of Science and Engineering, Titech in 1966. Born in 1953. Hideo Hosono is renowned for his research into cement, rendering it into a metallic state at least 200% more electrically conductive than graphite. He also developed the iron-based superconductor. He is currently Professor at the Materials and Structures Laboratory, Titech. Born in 1945. Yoshinori Ohsumi was awarded the 2016 Nobel Prize in Physiology and Medicine for elucidating the mechanism of autophagy. He was the first to observe autophagy in a living cell. He was appointed as a Professor at Titec in 2009 and promoted to the rank of Honorary Professor in 2014.